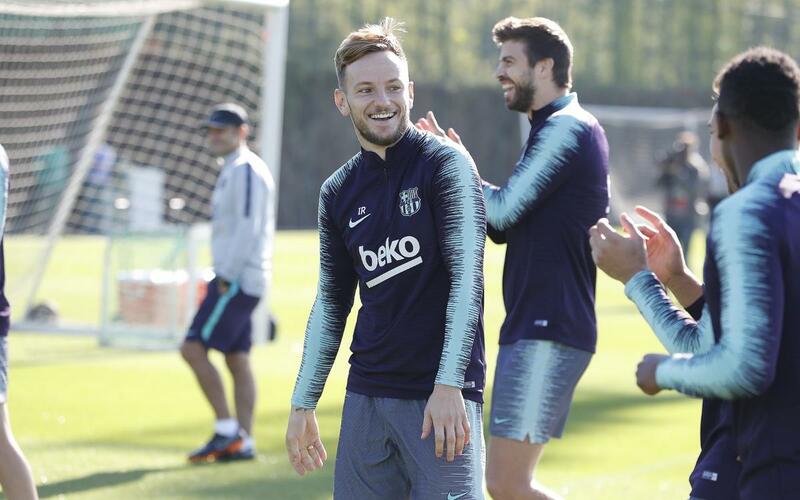 First training session of the week for the players who didn’t join their national teams during the international break, with the exception of Rakitic, who returned on Tuesday morning. Chumi, O. Busquets and Riqui Puig from Barça B made up the numbers on pitch 2 of the Ciutat Esportiva Joan Gamper. The next session will be on Wednesday at 11.00 am CEST, and over the next few days the other first-team players will return and begin to prepare for the difficult match against Sevilla FC next Saturday at 8.45pm at the Camp Nou.